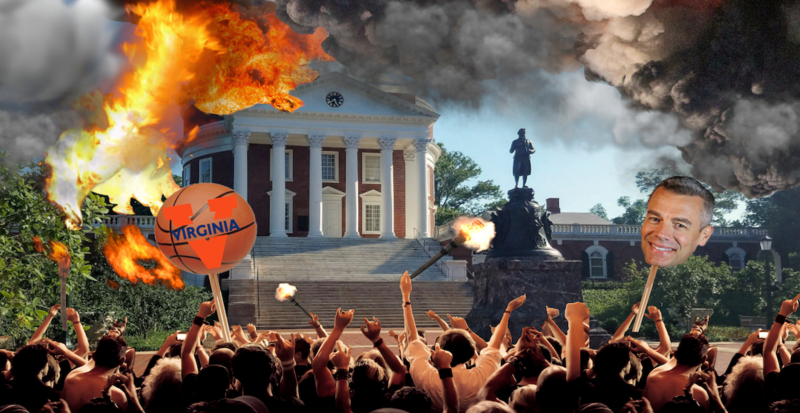 CHARLOTTESVILLE, Va. — The University of Virginia Cavaliers clinched a Final Four berth for the first time since 1984, causing a group of rambunctious students to celebrate by burning down the Rotunda for the first time since 1895. Much like the fire in 1895, yesterday’s conflagration also included a group of spectators who sat back and enjoyed the blaze over a few drinks and a picnic lunch. You can support The Peedmont’s mission to bring you unethical journalism by joining our Patreon. Oh, hey, we’ve got merchandise too!